Graves' disease, an autoimmune disease, is a major reason for an overactive thyroid gland. This is thought to be due to varying levels of iodine in the diet. It is eight times more common in females than in males and often occurs in young females, around 20 – 40 years of age. In this case, antibodies produced by your immune system stimulate your thyroid gland to produce too much of T-4. Normally, the immune system utilizes these antibodies to help protect against viruses, bacteria and other harmful substances that attack your body. If you have Graves' disease, the antibodies attack your thyroid and sometimes certain tissues such as behind your eyes and the skin by mistake. 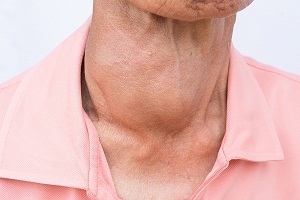 This is the most common of all causes, and accounts for about 70 percent of all hyperthyroidism cases. It runs in families and is considered to have genetic basis. Sometimes, a condition, called thyroiditis, can cause hyperthyroidism. It is characterized by inflammation of the thyroid, which causes T4 and T3 to leak from the gland into your bloodstream. It may be associated with secretion of excess thyroid hormone, but usually results in gland dysfunction. Sometimes, nodules or lumps or adenomas may grow in the thyroid and they produce too much of hormone due to increased level of their activity. An adenoma is a part of the gland that has grown itself off from the rest of the gland and form noncancerous tissues that may cause an enlargement of the gland. But all adenomas do not produce excess T-4. 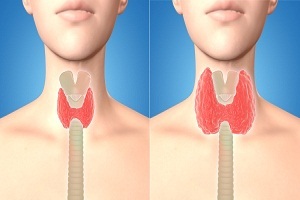 A function of your thyroid gland is to remove iodine from the blood. Iodine comes from a variety of foods such as seafood, bread, and salt. 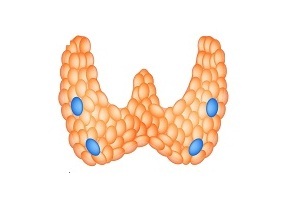 The thyroid gland uses this iodine to produce hormones such as thyroxine (T4) and triiodothyronine (T3). If you take too much of additional iodine in supplements, it can cause the gland to produce excessive hormones. 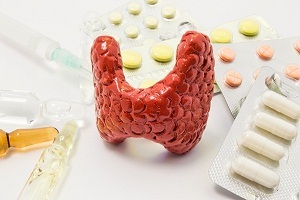 Further, patients who consume thyroid hormones as a treatment may also be vulnerable if the right dose of thyroid medication is not given. 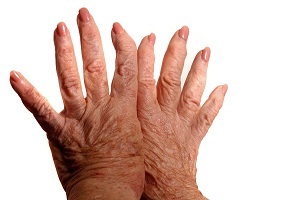 Some medications contain a large amount of iodine (for example some medicines for heart problems). They may alter your thyroid function. 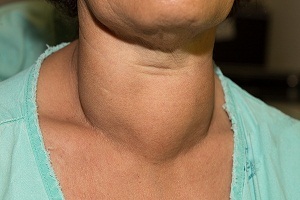 Though rare, but in some cases, thyroid cancer can cause overactive thyroid. Cancerous cells may produce additional thyroxine or triiodothyronine. Ground beef contaminated with thyroid tissue is a rare but possible cause of Hyperthyroidism. It is also called as hamburger hyperthyroidism. Amiodarone, an anti-arrhythmic drug which is structurally similar to thyroxine may cause hyperactivity of the thyroid. Postpartum thyroiditis (PPT) occurs in about 7% of women during the year after they give birth. PPT typically has several phases, the first of which is hyperthyroidism. An Overview of Overactive Thyroid. . . . Symptoms of an Overactive Thyroid. . . .
Thyroid Pain: What Does Thyroid. . . . 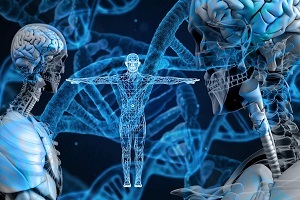 Treatment of Over-Active Thyroid. . . .
How to Diagnose Overactive Thyroid. . . .
Genetic Testing For Achondroplasia Achondroplasia genetics Achondroplasia is a rare genetic autosomal disease. In about 80 percent of people with achondroplasia, it is not inherited and only about 20. . . .
Untreated Strep Throat: Can Strep Throat Go Away On Its Own? Can strep throat go away on its own if left untreated? Strep throat is a pediatric throat infection which is caused due Streptococcus species bacteria. 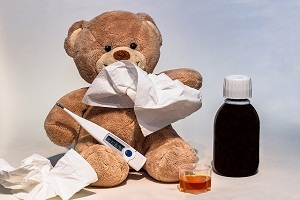 Strep throat. . . .
Croup Cough Fever: What to Do If Your Kid Gets Fever in Croup? An infection in the upper airway of the respiratory system leads to a condition known as Croup Cough. 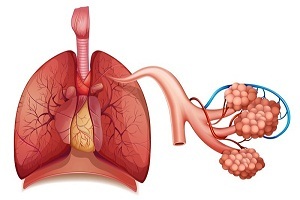 The area around the vocal cords and windpipe is swollen due to which it leads. . . .
Croup Cough: Causes, Symptoms, Complications, Diagnosis, Treatment What is croup cough? Croup is a pediatric illness which affects the respiratory organs of young children. It is medically known as laryngotracheobronchitis. It is the. . . . Treatment of Over-Active Thyroid (Hyperthyroidism) Treatment Options Several treatments exist for hyperthyroidism. 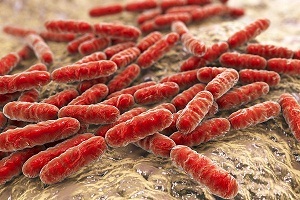 The disease can be treated after confirming the cause and severity. The best treatment depends on your. . . .
What is an HSV 2 Outbreak? How often do HSV 2 outbreaks occur? What is an HSV 2 outbreak? What is an HSV-2 episode? 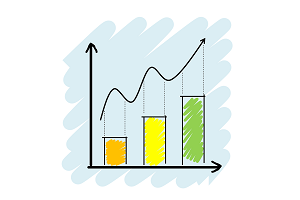 Generally, most of the individuals infected with HSV don’t have any symptoms or experience very mild symptoms. . . .
Achondroplasia: Growth Chart and Life Expectancy Monitoring a child’s growth Estimates suggest that achondroplasia affects about 1 in 15,000 to 40,000 children in the world. Achondroplasia is a rare genetic disease that affects. . . .